Plot: Gathered together by Professor Charles Xavier to protect a world that fears and hates them, the X-Men had fought many battles, been on adventures that spanned galaxies, grappled enemies of limitless might, but none of this could prepare them for the most shocking struggle they would ever face. One of their own members, Jean Grey, has gained power beyond all comprehension, and that power has corrupted her absolutely! Now they must decide if the life of the woman they cherish is worth the existence of the entire universe! I thought these were over with the last movie? Really wanted the X men series to be redone after Logan drawing a line over the clusterfuk timeline, some great films but to many WTF films aswell. Really the only casting that is spot on IMO with the younger casts is Prof X, Magneto and Hank. Well Deadpool takes place in the same universe so it wouldn't make sense to end it just yet. Deadpool could be brought into a new universe without too much hassle he has interacted with any of the main xmen. Could see a lot of 4th wall jokes aswell. I'm glad they're continuing with it... I've enjoyed them all so far, so I'm definitely looking forward to seeing what they have planned for the next part! So... I hope we go back on the good side of the force with the last one of this serie... love the cast, love the chemistry, love especially McAvoy, Fassbender and Lawrence. Hope to see WAY more of Munn and hope for Turner that she can do a better job as Phoenix that Janssen did in The Last Stand (even if hers was already good, especially Xavier's death). The Dark Phoenix will hit theaters on November 2, 2018! HELL YEAH! Can't wait to see more of Sophie as Jean Grey! Deadline reports that Kinberg is officially set to direct his own screenplay and most of the main players from X-Men: Apocalypse - Jennifer Lawrence (Mystique), Michael Fassbender (Magneto), James McAvoy(Professor X), Nicholas Hoult (Beast), Alexandra Shipp (Storm), Sophie Turner(Jean Grey), Tye Sheridan (Cyclops), and Kodi Smit-McPhee (Nightcrawler)—are set to return. Jessica Chastain is also in talks to play the villain, Lilandra. 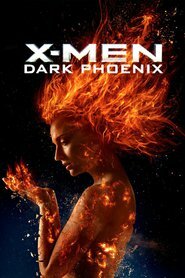 EXCLUSIVE: Fox has formalized plans for Dark Phoenix, the next installment of the X-Men franchise. This all just happened, but they’ve formalized Simon Kinberg as director, and the studio set a release date of November 2, 2018. Jennifer Lawrence, Michael Fassbender, James McAvoy, Nicholas Hoult, Alexandra Shipp, Sophie Turner, Tye Sheridan, and Kodi Smit-McPhee are all reprising when production begins in Montreal. DAMMIT @kaw! I just realized you beat me to it! @bloodsnake007 All good buddy. You got the release date in there. So you beat me to that.